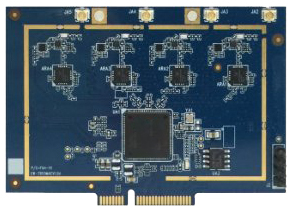 Bointec CPE106A is an 802.11ac/a/n 5GHz Single-Band Mini PCI express module based on Qualcomm Atheros QCA9984 chipset and Skyworks power amplifier. It supports 4T4R (4x4) technology, which runs up to 1.73Gbps (11ac VHT80 MCS9). The CPE106A supports 20/40/80MHz and 256-QAM to maximize bandwidth efficiency.